Health insurance is never fun. It's more complicated than ever. Depending on income and size of household, you may qualify for $1000's in tax credits. You get the tax credit right away. That still leaves the question of how to pick the right plan for you. We have had 10's of 1000's of conversations with people as they pick the best plan for their situation and budget. Hours upon hours with every possible situation you can imagine. We find ourselves asking the same questions through 90% of the conversations. They're the right questions but very common. 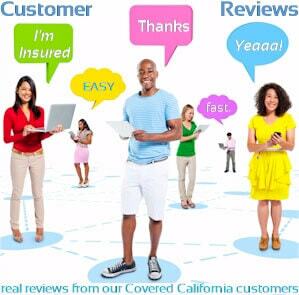 We then took that information with the new Covered Ca tax credit built in and created the PlanFinder! The PlanFinder walks you through these key questions to give you guidance on how a pro looks at the question of picking the best plan. You can access the PlanFinder above but feel free to contact us with any questions at 800-320-6269 or by email. Here's the quick "How To"
Let's look at each section in more detail. All three sections are there and here's the approach. 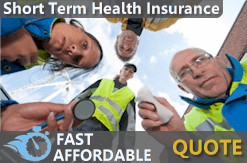 For certain people, they have very distinct and definite requirements for a health plan. For example, they may just want the lowest priced plan available (catastrophic health coverage). They don't care about the other aspects...just monthly cost. Okay then, in the PlanFinder, we direct these different groups to plans that are appropriate. For everyone else, they continue through the tool as it narrows the options to ones that best fit their needs. It takes about 15 minutes at most unless you really want to get into a sub page on a topic. It's a great way for people to research on their own first. You can always reach out to us for specific questions on your needs. The quote is important since we're comparing plans and their COSTS! It's a critical piece of the puzzle. It's THE deciding factor right now. # 1 rule is to figure out if we're eligible for a tax credit towards our choice of coverage. The tax credit is based on income estimate for the year and size of household. You can find more information on the 2018 tax credit here. The income piece can get tricky. Section 2 deals with comparing these 4 levels. We'll also break out the HSA plan to understand how it works. This section is usually the most difficult for people. In fact, it dictates the majority of our conversations. The PlanFinder will go a long way towards helping you understand but definitely call us at 800-320-6269 or email us with any questions. Once we figured out the tax credit and plan level piece, we need to make sure we like the doctors. This is a big deal now since 2014. The networks are smaller and we have to make sure our doctors are in the network. We also need to like the network type. This is EPO, PPO, and HMO. They work very differently and the PlanFinder walks through how to compare these options against the premium difference. Doctor networks are available through the Covered Ca On-Exchange Quote but we also explain how to ask your doctors if they participate. All these tools make the PlanFinder invaluable. Of course the biggest resource can be a friendly voice who can discuss your questions. 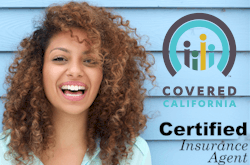 Our assistance as Certified Covered Ca agents are 100% free to you.